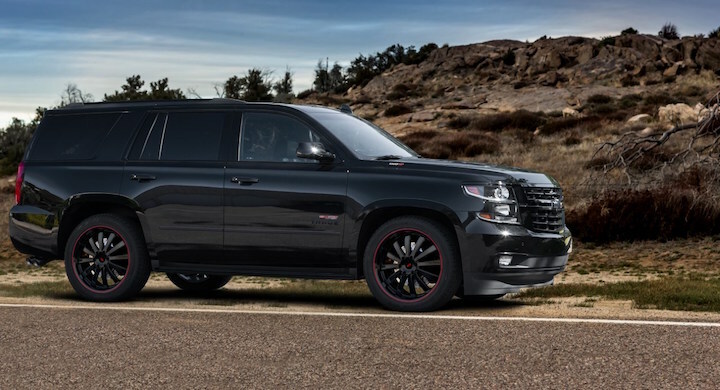 Speciality Vehicle Engineering, formerly known as SLP, has detailed its new tuning package for the Chevrolet Tahoe and Suburban, which delivers up to 1,000 hp and comes with a three-year warranty. The wildest tuning package offered by Speciality Vehicle Engineering for the 2019 Tahoe and Suburban is what it calls the 2019 High Output Stage 2 kit. This kit includes a bored and stroked 6.8-liter supercharged LT1 engine making 1,000 hp and 875 lb-ft of torque, along with a heavy duty six-speed automatic transmission. Speciality Vehicle Engineering, which is the same group of guys and gals responsible for the Yenko S/C branded line of tuned vehicles, says the 6.8-liter engine features a “blueprinted LT1 Aluminum block, race-quality computer-balanced rotating assembly including forged 4340 steel crankshaft and forged steel H-beam rods, forged aluminum pistons, CNC ported high-flow LT4 cylinder heads, custom supercharger,” and the aforementioned 3 Year/36,000 mile engine warranty. Additionally, there’s a 12 month and 12,000 mile warranty on the transmission. It seems the component most prone to breaking in this package is the transmission, then, which is really to be expected with any high horsepower build. Customers can also order 22-inch alloy wheels from SLP, which are available in a number of color finishes, along with sports suspension, custom stainless steel headers with high flow cats, painted exterior trim and more. Speciality Vehicle Engineering’s products are actually available to order from select Chevrolet dealerships, although you will have to reach out to the company to get the full skinny on participating dealers, along with availability and ordering. The company has plenty of experience with this sales model, having built over 65,000 GM vehicles over the years and enjoying status asa Second Stage Vehicle Manufacturer and Tier One Supplier to GM and its dealers. Guess these are rwd? SLP has done some really nice cars over the years. Nice to see a lowered vehicle for a change. Is it available in B.C. Canada to get that package, nd price range for it?